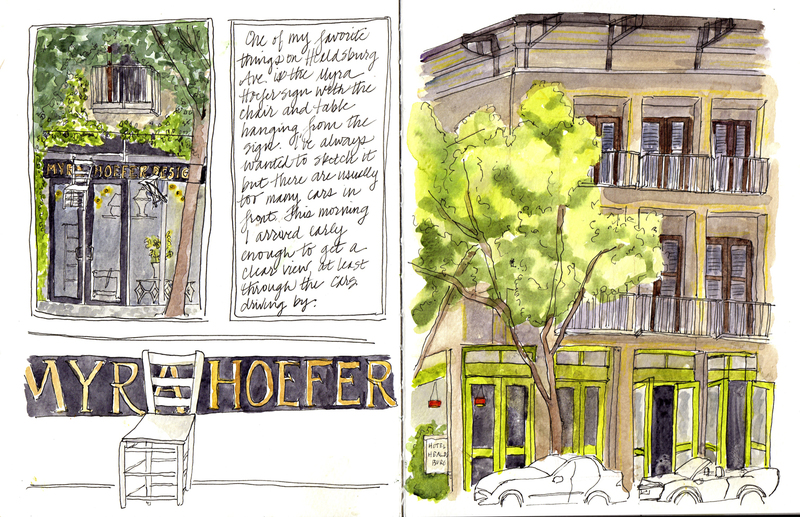 To celebrate annual Worldwide Sketch crawl Day, a bunch of us met on the plaza in Healdsburg to sketch. It was a gorgeous Saturday morning, with a sunny blue sky and a lovely breeze wafting around. Perfect summer sketching weather! We scattered to explore different spots in town, and I went to sit at the edge of the plaza and sketch a shopfront and hotel across the street. While I was sketching, a fellow started practicing his saxophone out on the plaza, so the air was filled with music. It was a lovely day. Thanks to all who came! Next month, on Saturday August 9, we’ll meet at Cornerstone Gardens in Sonoma. Save the date — details to follow! I'm a woman in my mid-50s, starting over after the end of a long marriage, parenting a teenage daughter, and thinking about who I am and where I am going in this new phase of my life. I'm an artist, a reader, a lawyer, a passionate learner... but who knows what else I will turn out to be!